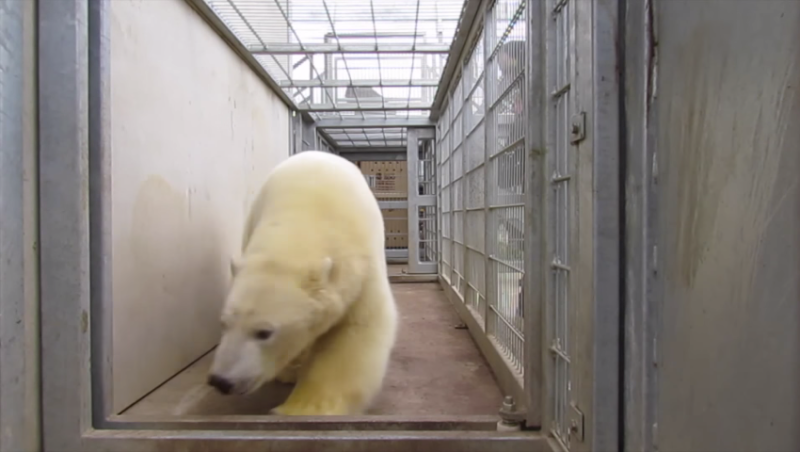 Nissan the polar bear was on the last leg of a voyage from Moscow to the Yorkshire Wildlife Park in the United Kingdom when a small group of refugees looking for a lift happened upon him unexpectedly in the back of his truck, reports FOX News. “Meh,” roared the fearsome Nissan. The zoo said in a news release that Nissan was “unfazed” by the incident. Support staff on the trip did a quick check on the polar bear, who “remained comfortable” before the journey continued on schedule. Sadly, introductions had barely been made before police stopped the vehicle and removed the three stowaways. “Meh,” lamented the soulful Nissan.